View TOPO! map, trail profile and National Geographic TOPO! Trail Overlay of Gaylor and Granite Lakes. 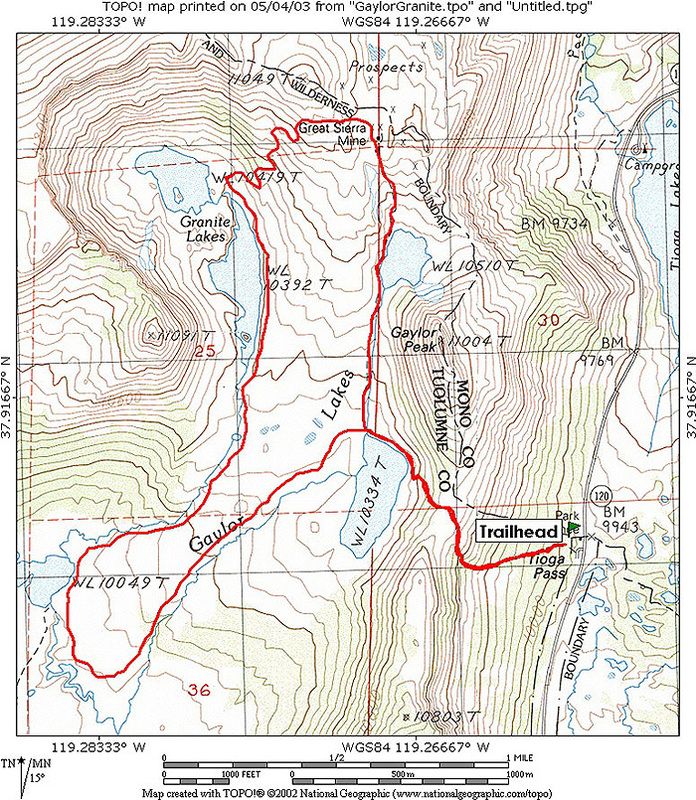 Download National Geographic TOPO!® Trail Overlay of Gaylor and Granite Lakes here.